Anyone who’s ever been to Rome knows that it’s impossible to contain all of its magnificence in a handful of photos, but that doesn’t stop most travelers from trying. There are (quite literally) millennia of things to see, explore, taste, and experience in this city that was once the center of the largest empire in the world. It’s no wonder that people ritually throw their metal Euros into the Trevi Fountain to ensure their return to this Eternal City. 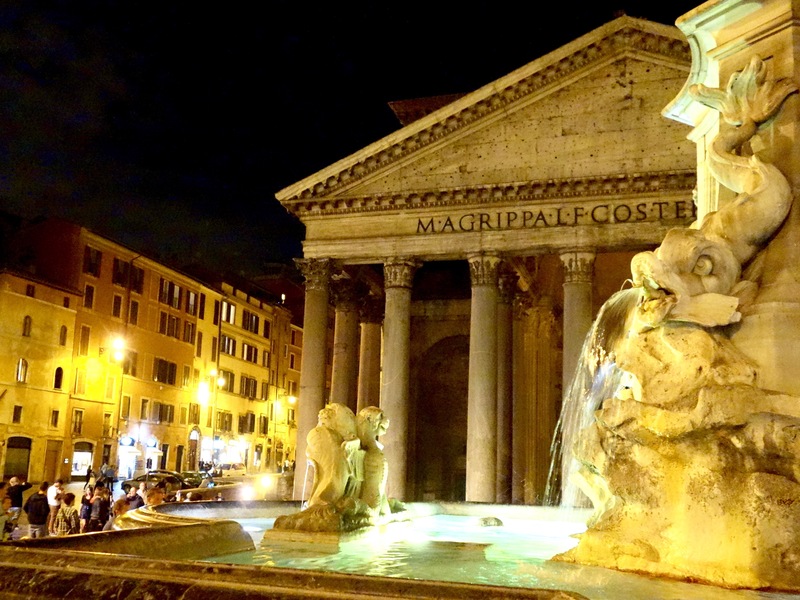 A good traveler comes back to Rome repeatedly to truly get to know its history, discover the charm of its neighborhoods, savor its delicious cuisine, apprciate its nighttime ambience, and embrace the bella chaos that is Rome. If you’ve never been to Italy’s capital or even if Rome is like a second home to you, I hope these twelve images inspire your affection for this one-of-kind city. 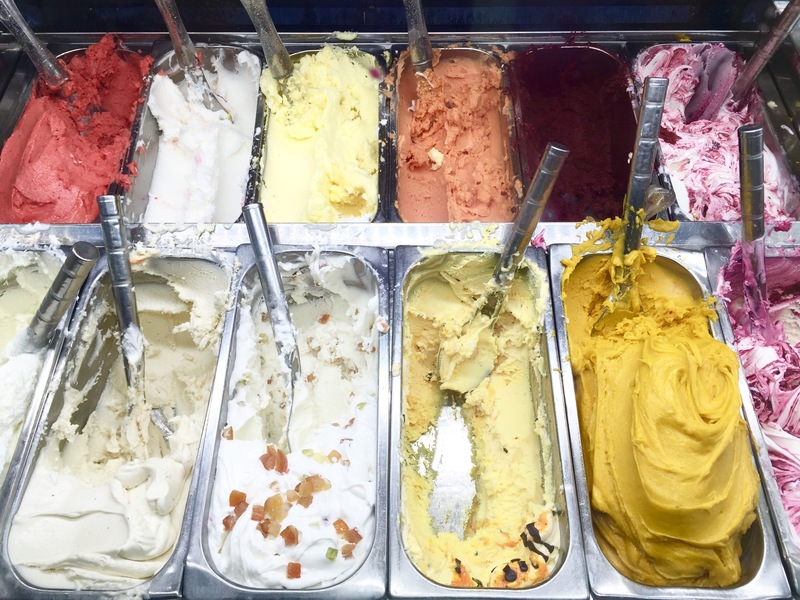 From ancient ruins and Baroque fountains to gorgeous skylines and lip-smacking gelato, there’s no place like Rome. 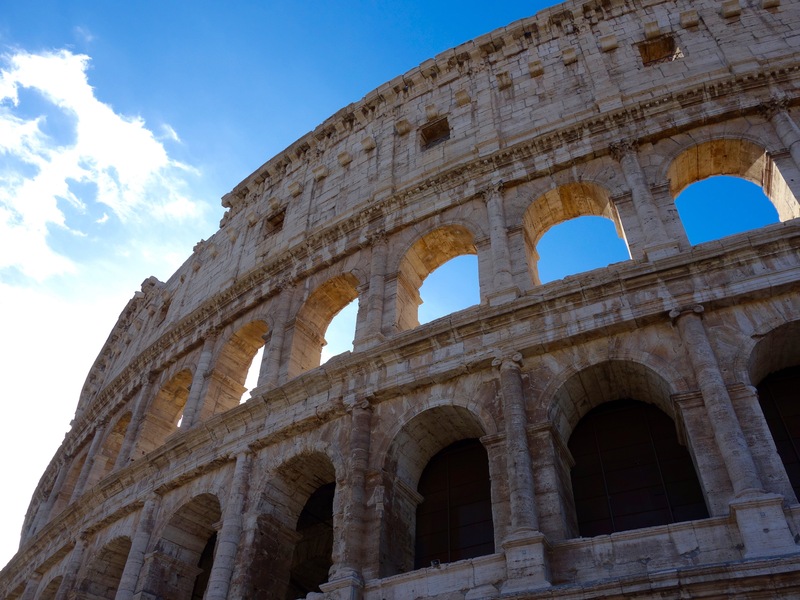 The Flavian Amphitheater, better known as The Colosseum, is an iconic symbol of Rome and is the architectural inspiration for all our modern day stadiums. 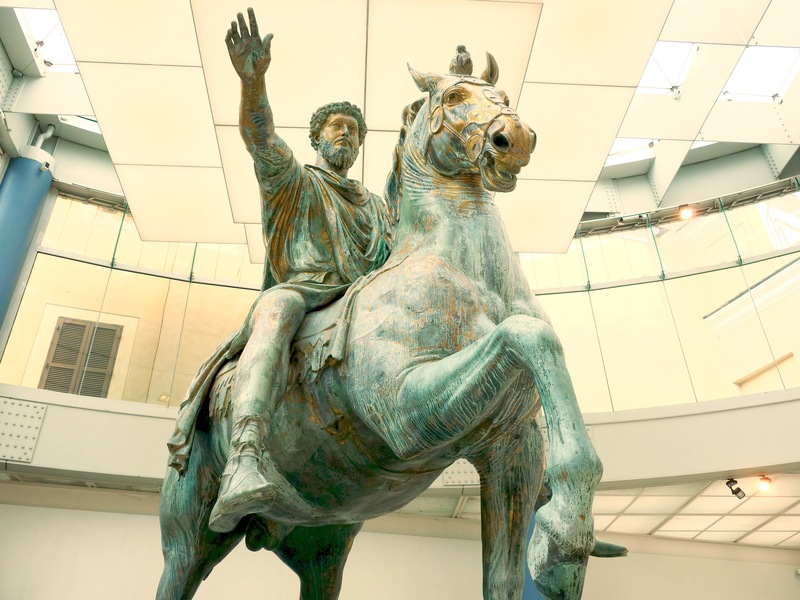 Mistaken for centuries as the first Christian Emperor Constantine, this sculpture of Emperor Marcus Aurelius is the only bronze equestrian statue with a pre-Christian emperor in existence. All others were melted down for coins, weapons, or building materials. This original is now housed in the Capitoline Museums, while a faithful replica caps the Campidoglio of the Capitoline Hill. 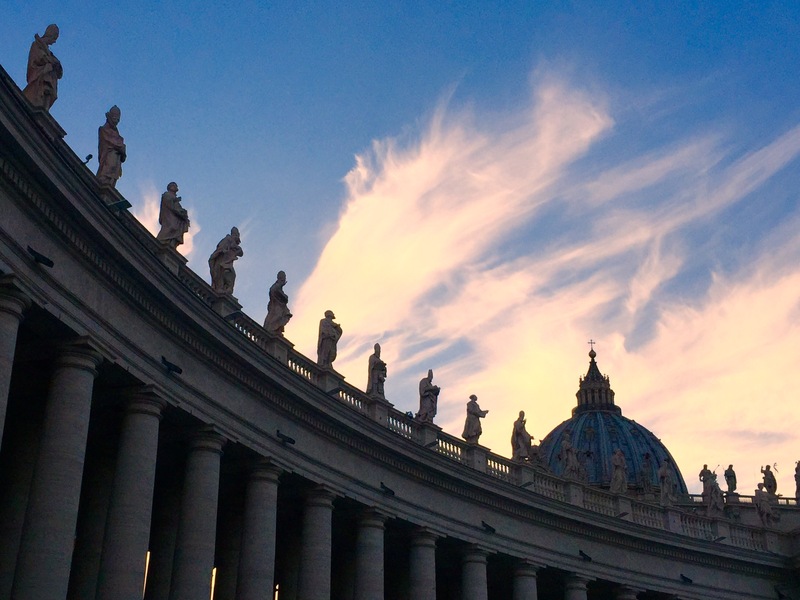 Sunset and wispy clouds create a dreamy backdrop for the dramatic Baroque arms of Bernini’s Colonnade on St. Peter’s Square and Michelangelo’s majestic dome of St. Peter’s Basilica. 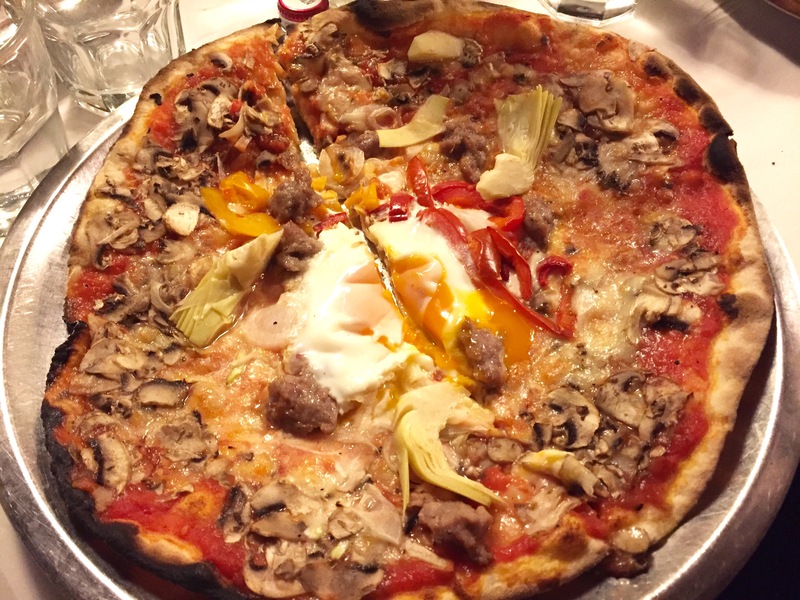 While some claim that pizza might have been invented in Naples, it’s certainly a staple in Rome. 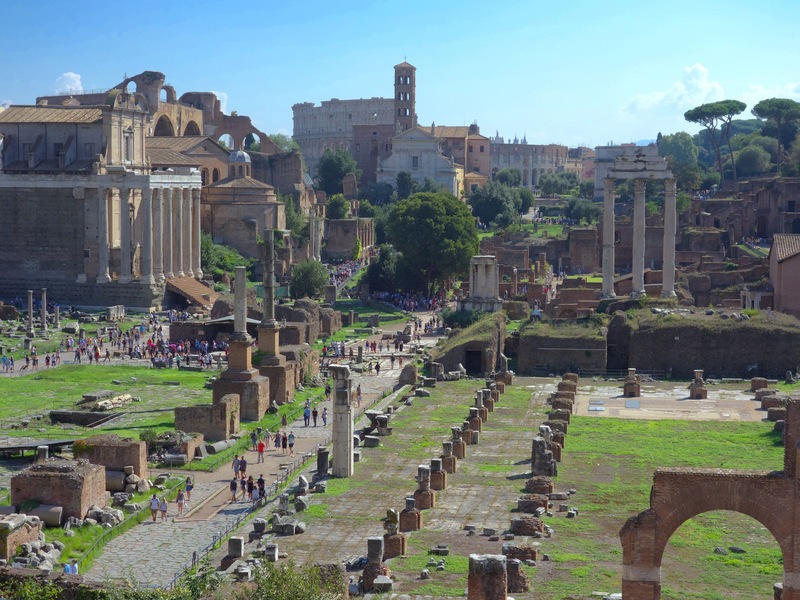 It’s hard to imagine but much of Ancient Rome (some say up to 80%) is still buried. 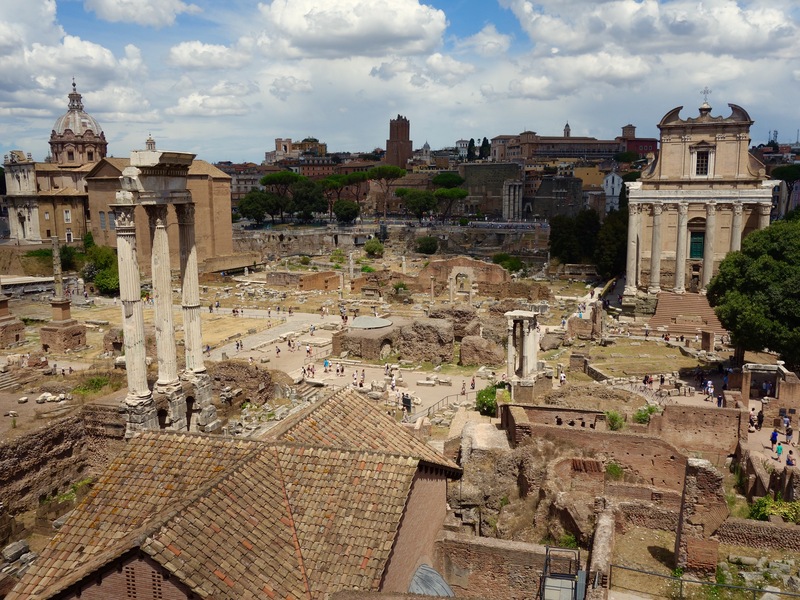 Thanks to the 19th-century archaeology fervor that began with the discovery of Pompeii, modern-day visitors to Rome get to explore much of the remains of the Roman Forum. 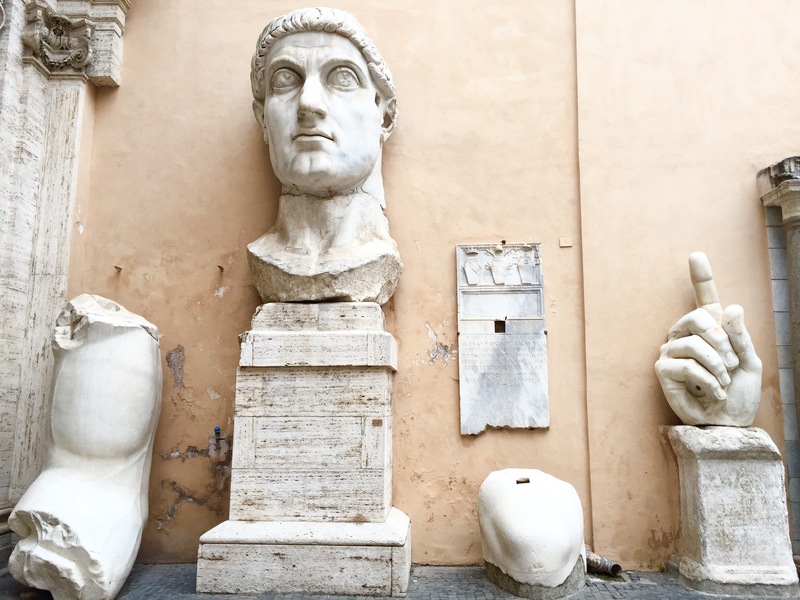 It’s often said that Rome is like a lasagna, with layers and layers of history whereever you turn. But it’s also remarkable to think that history stands proudly side-by-side with the present. On the Piazza dellla Rotonda, you’ll find the Pantheon (a former Roman temple and now a functioning Christian church since the early centuries of the first millenium A.D.), a fountain built originally in the late 1500s and crowned in the early 1700s with an Egyptian obelisk built 1300 years before the Roman Empire, surrounding buildings dating back two or more centuries, and present-day locals and visiting admirers of history, architecture, and la dolce vita. 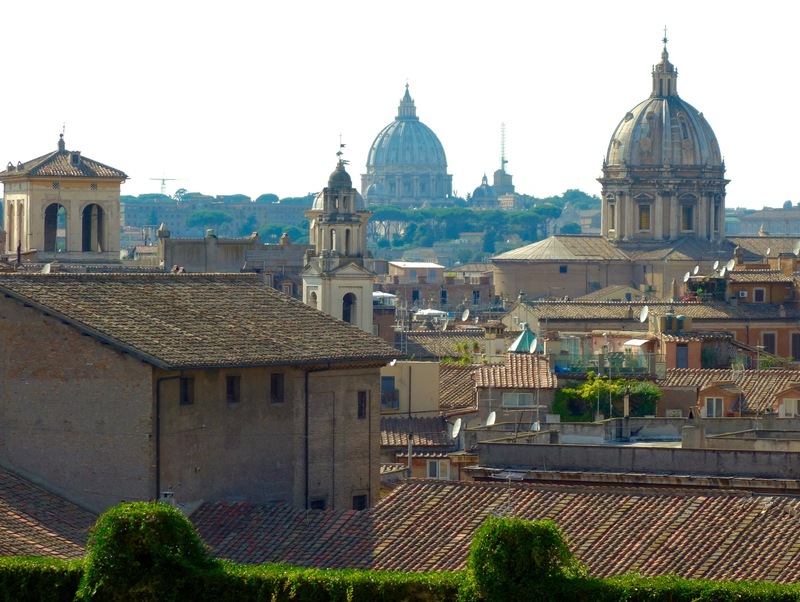 Rome’s Catholic heritage is evident in its skyline. This view from the Capitoline Hill features the domes of S. Andrea della Valle Church (right) and St. Peter’s Basilica (center). From the Palatine Hill—one of the seven hills of Rome—gaze down upon the Roman forum and across to the Quirinale and Viminale Hills. 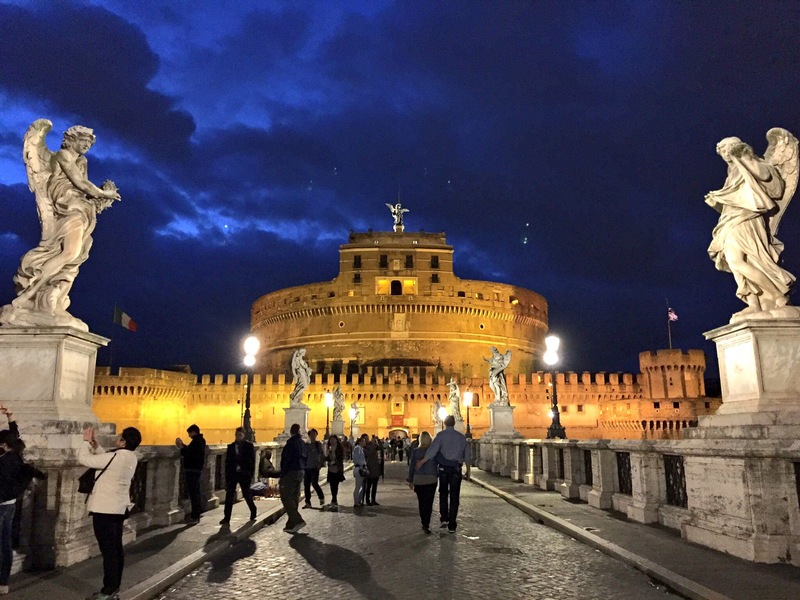 Take a twilight passeggiata or stroll through Rome and watch it come alive under dramatic skies and evocatively lit monuments. The Castel Sant’Angelo was the former Mausoleum for Emperor Hadrian, and was then used by the Popes as a fortress, residence, and prison. Today it houses a museum of art and military memorabilia. 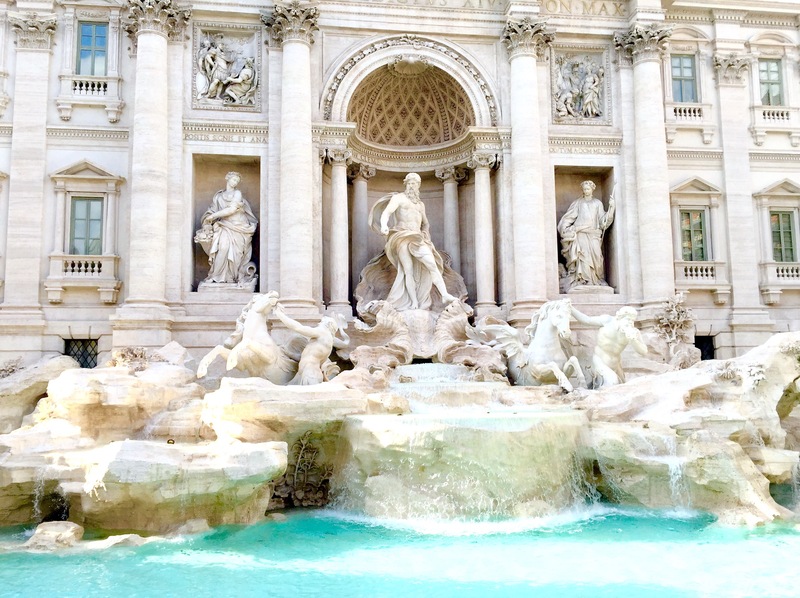 Newly restored, the Trevi Fountain welcomes more visitors than ever and helps them to part with lucky coins that presumably ensure the visitors’ return to Rome. All those coins are collected nightly by the City of Rome and given to charity. Whether you’re superstitious or not, the popular myth is helping those in need. So go ahead, throw in your coins, and hopefully you’ll return to this beautiful and incomparable Eternal City we call Rome. It’s always worked for me. Amazing beautiful photos, and very good article. Thanks for sharing that magnificent Rome photos.